I get questions from readers looking for ways to cook salmon. Don’t be intimidated by it. Salmon is a common food you will find on our weekly meal plan– we have it a couple of times a month. 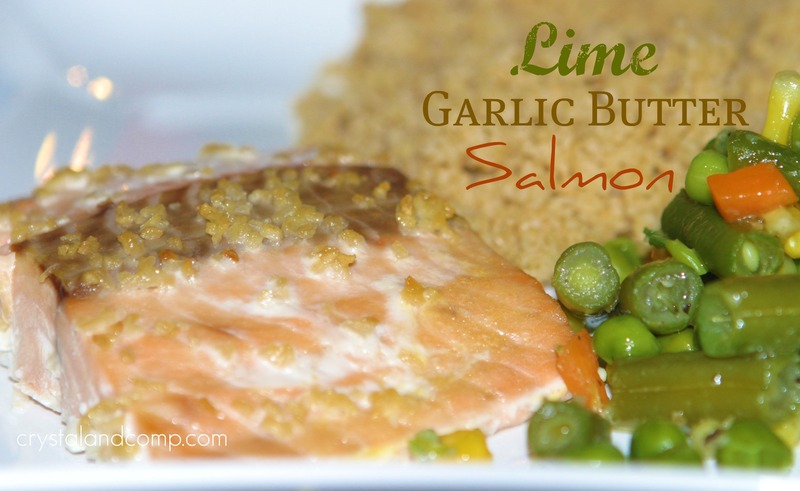 This is a baked salmon recipe that is super simple. You could also prepare this recipe in foil packets and pop it on the grill. 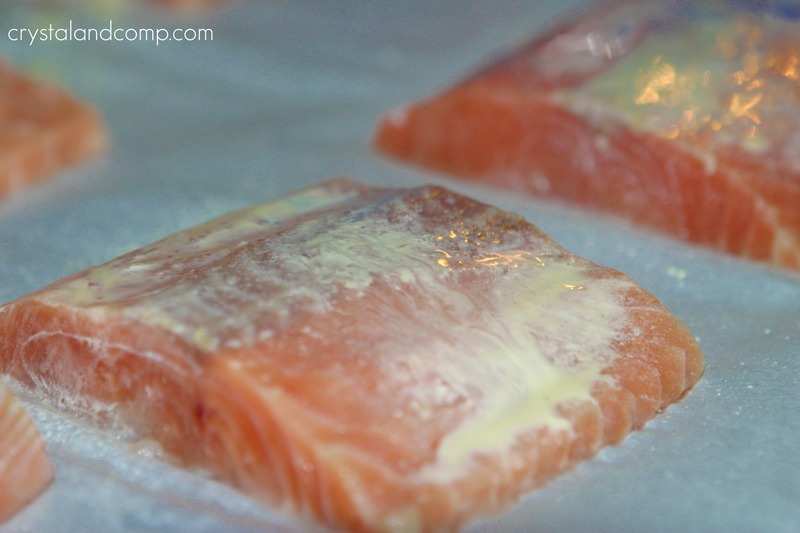 Place your salmon fillets on a cookie sheet covered in parchment paper or foil. Pour melted butter over each fillet, or use spray butter and give each fillet a couple of shots. 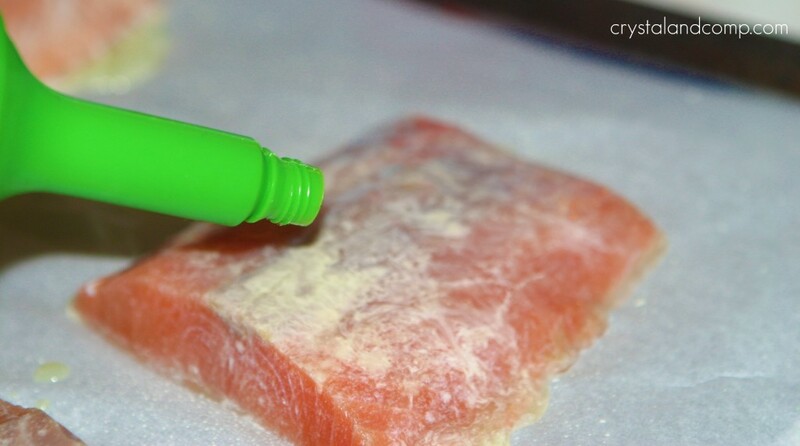 Squeeze lime juice over each fillet. Smear some minced garlic over each fillet. Pop the salmon in a 350 degree oven for 20-25 minutes. My kids like their salmon well done. Once it is a light brown I remove it from the oven. Plate it up and dinner is done. My kids love salmon with couscous and a steamed veggie. Once it is a light brown I remove it from the oven. 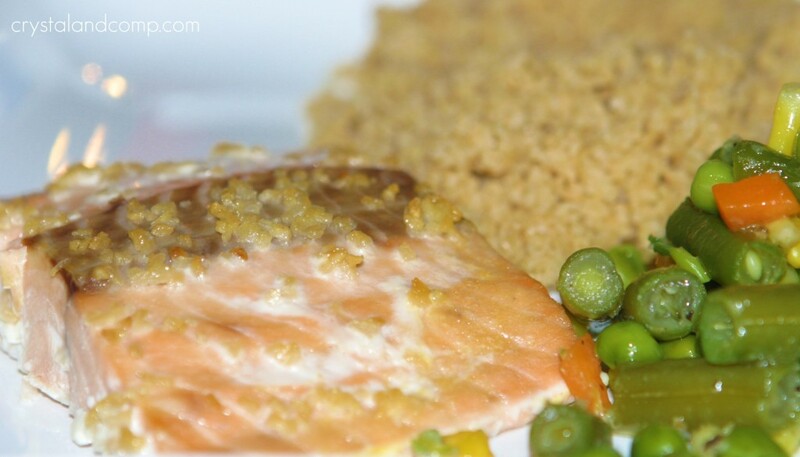 My kids love salmon with couscous and a steamed veggie. This looks so good! It’s making me hungry 🙂 Can’t wait to try it. Thanks, Kim! If you like salmon, I think you’ll like this. Julie- I have never heard of those spices. Totally checking them out. Thanks for the suggestion. I love salmon, and I love that my kids will eat it. I’m always looking for fresh new ideas to cook it! Thanks for sharing! 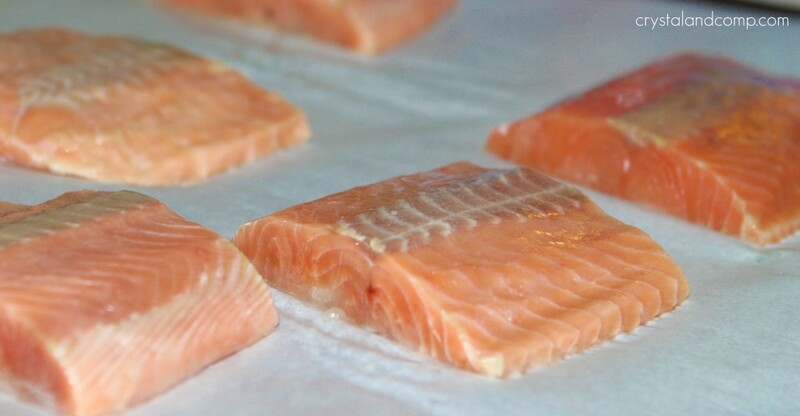 Kelly, what I love about salmon is it cooks fast and it really is very versatile. Bake it, grill it, stove top cook it, you can even crockpot it! This is a beautiful Salmon, I will be trying your recipe the next time I make Salmon. Hope you have a wonderful week and a special Valentine Day. Thanks for sharing with Full Plate Thursday and come back soon! Thank you so much for your sweet words, Miz Helen. If it makes it on your meal plan, let me know whatcha think. 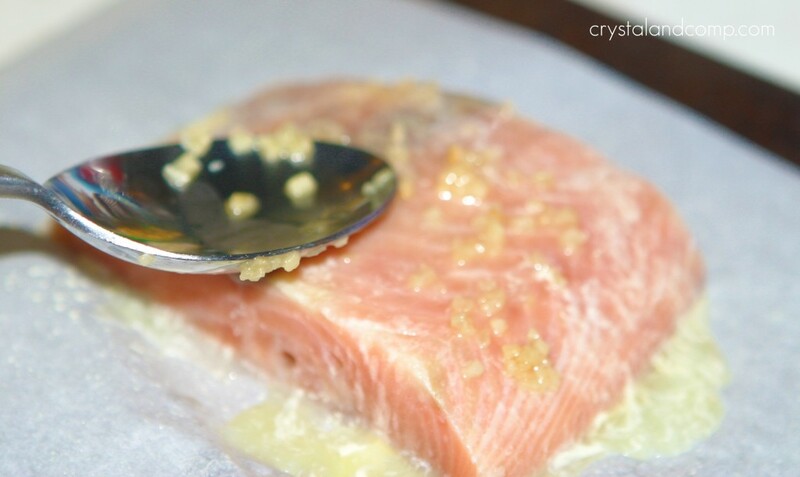 Vicky, salmon is a great date night dinner that comes together very quickly.